Being a vegetarian definitely has its perks, its healthy and nutritious, filling and in general it costs less to cook a healthy meal without meat. There are so many different vegetarian protein sources like tofu, tempeh, beans, lentils and quinoa that fill you up just as well as their meat counterparts for so much cheaper. Cans of beans can be found for as little as $1 and you can make so much with them, the options are endless. If you are not convinced that eating on a healthy vegetarian diet can be cheap, look no further than budget bloggers, and there are so many of them! Many feature vegetarian meals because they are so healthy. I have gone ahead and rounded up some delicious recipes to try that are great for the cold months and great for when your craving something delicious but easy and cheap to make. Winter squash are in season right now so take advantage of them and make as many recipes with them as you can. 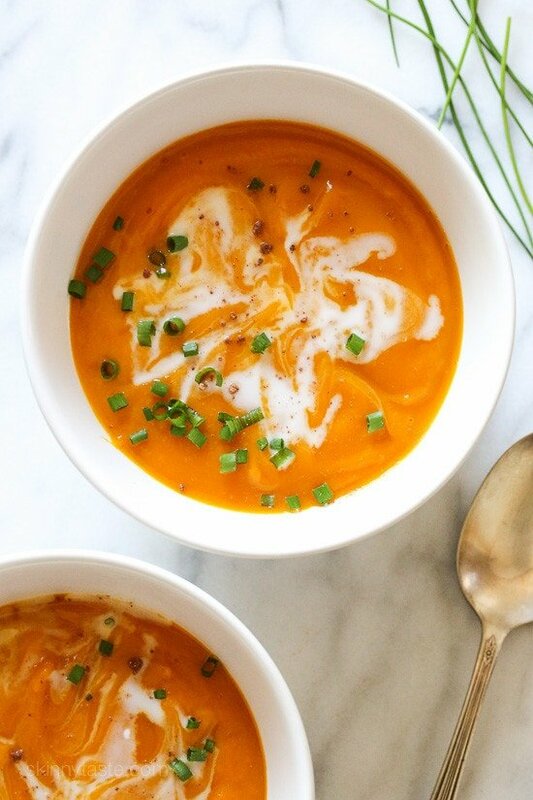 This soup recipe is loaded with 9 grams of fiber and will surely keep you full for a while. Soups are great because you can make big batches of them over the weekend and can keep eating them through out the week, soups make great lunches! Also, this recipe has such few ingratiates it surely will not cost you that much per serving. I LOVE chickpeas so much, they are so versatile, you can use them to make a dip (hummus), you can use them to make salads, or warm meals like this one, you can even toss them in some spices and roast them to make an excellent crunchy snack. The best part is that they are super affordable! The spices and the warmth of this meal makes it perfect for cold winter days. Note if you do not have a slow cooker no problem! You can definitely make these recipes on the stovetop, you will just have to adjust cooking times and temperatures which is relatively simple. Dishes like this are great for the weekend when you have a little extra time to make something that requires a little bit of a longer cook time but is still simple and delicious. This recipe is really simple to whip up, mix the ingredients together and pop it into the oven to bake and you will end up with a warm and delicious meal that has so many flavours. Another great thing about this recipe is that it is freezer friendly, so if you want to make this for one weekend and save half of it for another time then you can definitely do that. 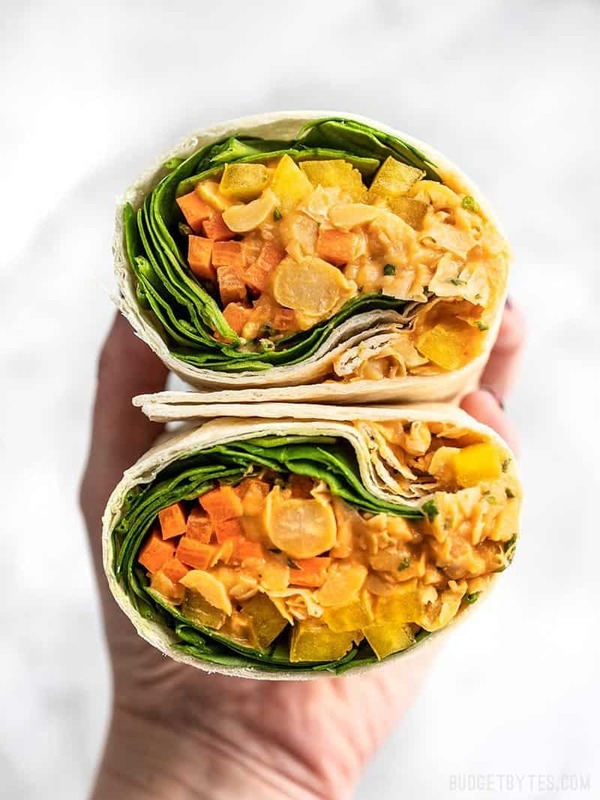 Wraps are also a great option, they are super fast and easy to make, extremely customizable to what you have in your fridge and they pack well for lunch. This recipe is super filling and very cheap which is always great. Also Budget Bytes is a great blog to find budget friendly recipes, there are so may different options to choose from. Who doesn’t love minestrone soup? They are fantastic for days when you need to warm up and they are so filling and again highly customizable, you can add in whatever veggies you want and have on hand and the more ingredients you add the more filling it can be. 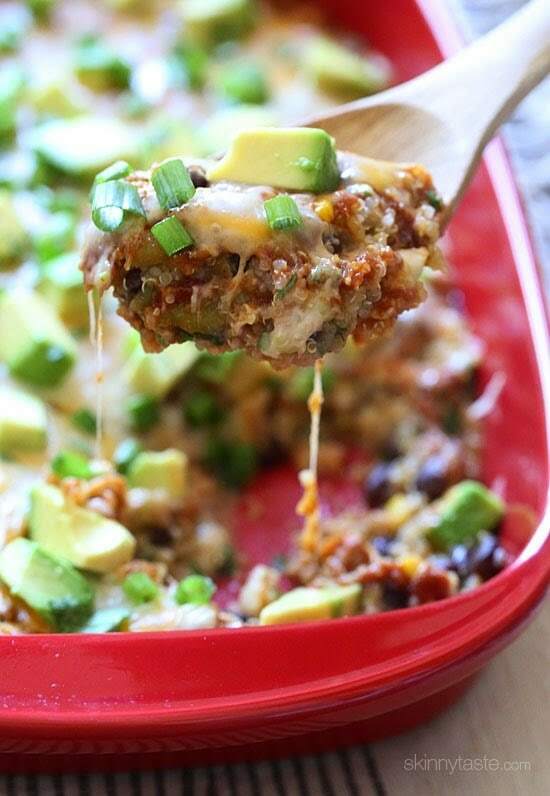 Enjoy these deliciously warm, healthy and cheap recipes!